This record was specially produced by RCA for exclusive sale by the Gift Shop of the U.S. Air Force Museum Foundation, Inc., P.O. Box 33572, AMC Br., Wright-Patterson AFB, Ohio 45433. 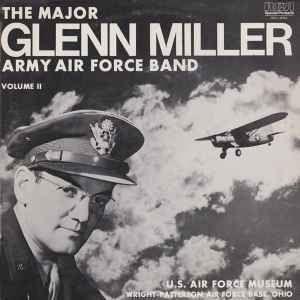 Printed on center labels: "The Air Force Museum Foundation, Inc. Presents The Major Glenn Miller Army Air Force Band, Volume II"
Ⓟ1978, RCA Records, New York, N.Y.